Associate Dean, Director of Undergraduate Studies, and Professor of Saxophone at the University of South Carolina, Clifford Leaman has performed and taught throughout the United States, Canada, Europe and Asia at major schools of music and conservatories, including Northwestern, Eastman, Michigan, North Texas, Florida State, National Supérieur de Paris, Boulogne-Billancourt, Strasbourg, Aragón, Catalunya, Royal Academy of Music (Stockholm), Beijing Central, Shanghai, and Sichuan Conservatories. Leaman has recorded four compact discs with piano on the Equilibrium label, and two additional discs with percussionist Scott Herring as the RoseWind Duo. In addition to his work with piano and marimba, Leaman has performed as a concerto soloist with numerous Wind Ensembles and Orchestras and has recorded concerti by Henry Brant, Leslie Bassett, and Ingolf Dahl. 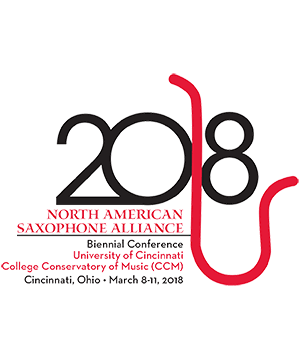 Leaman is an artist-clinician for D’Addario and the Conn-Selmer Company, Inc. and performs exclusively on Selmer saxophones and D’Addario Reserve reeds.